HUDSON, N.H.--(BUSINESS WIRE)--There is budding optimism for 2018 amidst new tax reform legislation, according to a new survey of accounting professionals released today by Right Networks. From a sample of 365 CPA firms, accounting professionals, and small businesses, the Right Networks 2018 Accounting Predictions survey indicated that the new tax reform legislation (Tax Reform and Jobs Act) proposal would have a positive impact on U.S. businesses. 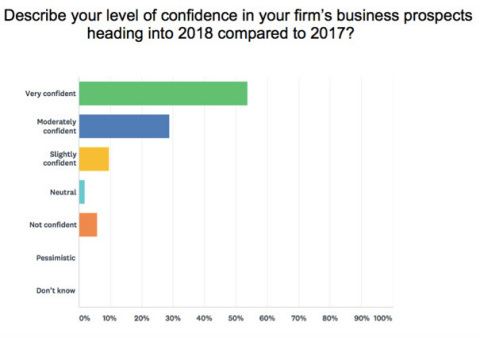 Perhaps the most encouraging data revealed in the survey came from those asked for their level of confidence in their business heading into 2018 (compared with 2017). Nearly 54 percent of respondents felt “very confident” about the prospects in the coming year while another 29 percent felt “moderately confident” about 2018. Only a handful of respondents were “not confident” and none indicated they were “pessimistic” about next year. In keeping with this optimism, nearly 54 percent felt “very confident” about the economy heading into 2018 compared to a year earlier. Over half felt “moderately confident” in the economy now as compared to 2017. With the overall economy in mind, the survey found that nearly 60 percent of accounting professionals sampled believe taxes will be the single biggest regulatory issue impacting their clients’ business today. Another 23 percent indicated that health care regulations are the biggest factor. In addition to painting an optimistic picture for the coming year, the survey also noted that protecting clients’ information remains a top priority for accounting professionals. As accounting professionals plan for 2018, addressing data security remains a high – if not top – priority. 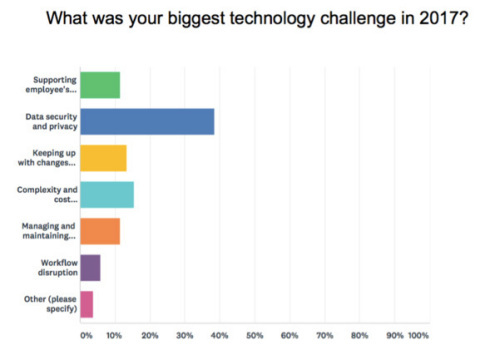 The survey found that 38 percent regarded data security and privacy as the biggest technology challenge in 2017. The Right Networks survey also found that the two leading factors in implementing new business technology in 2018 are automating time-consuming administrative tasks and offering the capability to deliver a great level of service and responsiveness to clients. January is typically one of the busiest months for accounting professionals and the ability to work remotely and visit with clients is much needed. 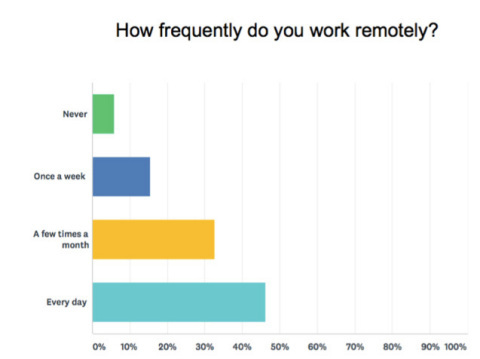 Over 46 percent of responding accounting professionals indicated they work remotely every day, with another 32 percent indicating that they work away from their central office at least several times a month. Indeed, 82 percent of CPA firms rely on cloud-based accounting software to handle and complete their work.